If you’re like most people, chances are you spend very little time in your attic – beyond the 30 seconds it takes to dump the clutter that’s always appearing elsewhere in the house. But believe it or not, your attic plays a much more important role than a repository for unwanted items that you’re trying to hide. It’s key to keeping your family comfortable year 'round – when it’s properly insulated and ventilated. But how? Because heat rises, attic insulation plays a key role in heating and cooling your home, more than any other type of insulation in your house. In homes that are improperly insulated, up to 85 per cent of wasted heat escapes through the roof. In areas with especially cold winters, adequate insulation in your attic floor can help keep your heat bills in check. Installing attic insulation may not necessarily require special skills, but it's a messy job that involves crawling around in tight places and – in some instances – working with fibreglass. As such, you may want to hire a pro for the job. 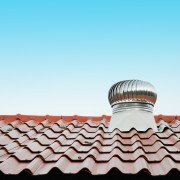 Attic ventilation is equally as important as insulation, but is often overlooked by homeowners. 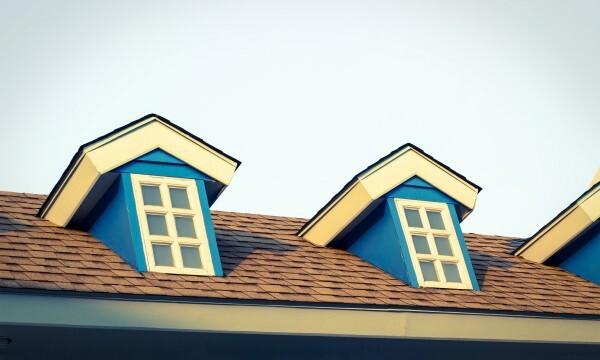 Some people mistakenly believe that an attic must be airtight in winter to avoid losing hot air, otherwise they are throwing money out the window. Quite the opposite is true. It’s important for an attic to “breathe” both in summer and winter. Proper ventilation brings in fresh air through the attic to keep it dry and cool. Without proper ventilation, the attic isn't a safe place to store the furniture, papers and other household items that so often end up there, making them prone to mildew, mould and decay. 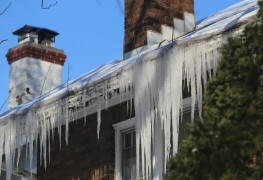 What’s more, an improperly vented attic is susceptible to forming ice dams in winter. 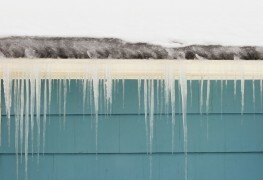 An ice dam occurs when a roof's surface is warmed by attic heat, so that snow on the roof melts. 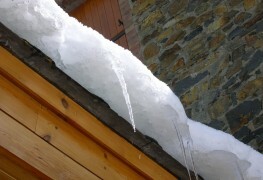 The resulting water runs to the edge and then refreezes near the gutters where the roof is colder. 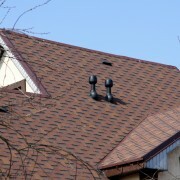 An incorrectly vented attic (or the lack of insulation) may be the reason the air in an attic is too warm. The solution? 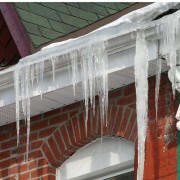 A combination of good insulation and proper ventilation to prevent ice dams from forming during the winter. When more snow melts and trickles down, it's blocked by the “dam” of ice and flows back under the shingles and leaks into the attic. This dam can potentially cause permanent damage to roofing and attic framing. In addition, it may cause the shingles to deteriorate much faster than usual. For these reasons, a cool attic is essential to keep the snow from melting too quickly and forming ice dams. This requires adequate attic-floor insulation and a flow of fresh air through the attic, from the soffits (the overhang directly under the gutters) to the roof vents. Rule of thumb: is your attic well insulated? If your heating bills are significantly higher than what neighbours pay for similar-sized homes, insufficient attic-floor insulation could be the culprit. The next time it snows, take a look at your roof and other roofs on your street the next day. If more snow has melted on your roof than on the other, similarly-sloped roofs, then more heat is likely escaping from your attic to melt the snow. If you suspect that you need more insulation, ask several insulation companies to have a look and give you a written estimate. Request a detailed description of the insulation they will provide and the work required before you sign anything. Not merely a space to store things, your attic plays a key role in the efficiency of your heating and cooling systems, as well as the long life of your roof. To get the most out of your attic space, be sure that it's properly insulated and ventilated. In the long run, it means greater comfort for your family; energy savings; and peace of mind knowing you have a safe, dry place to store all those valuable household items that never quite fit anywhere else in your home.